Americans, your dietary guidepost for the next four years is here! The U.S. Department of Health and Human Services (HHS) and Department of Agriculture’s (USDA) Dietary Guidelines for Americans is now available through GPO. It’s designed to help folks “improve their overall eating patterns — the complete combination of foods and drinks in their diet.” Plainly put, it’s a plan for eating better. In this latest edition of HHS and USDA’s twice-a-decade nutrition publication, you’ll see terms like “nutrient-dense” and “food pattern” over and over again. That isn’t just trendy jargon to impress policymakers and health professionals. The words have real meaning, and they represent a shift in thinking about the way Americans should eat. That is, “people do not eat food groups and nutrients in isolation but rather in combination”—people eat food in patterns. Dietary Guidelines doesn’t just prescribe what to eat, it reminds us why to eat. 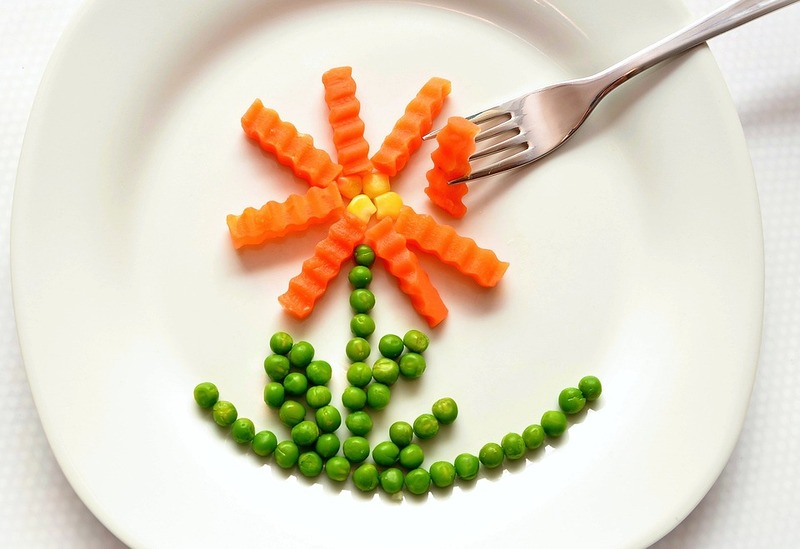 Science tells us that healthy eating patterns “can help prevent chronic diseases like obesity, heart disease and Type 2 diabetes.” Improved nutrition staves off disease. And when Americans make healthy choices in their daily lives, the long-term benefits support a healthier next generation. Lifelong healthy eating begins with small changes. If you want a handy takeaway message, it’s this: make small dietary shifts and follow a healthy, lifetime eating pattern that combines a variety of nutrient-dense foods. Or simpler yet, eat for the long run, eat to live. Update: The 2015-2020 Dietary Guidelines for Americans, is now available in a variety of convenient digital formats compatible with mobile phones, tablets, and e-readers. 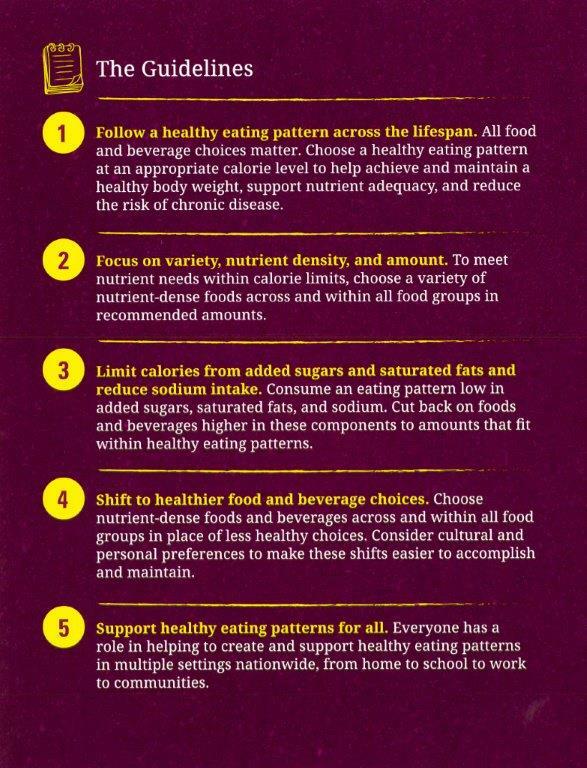 See all the available formats for the Dietary Guidelines.